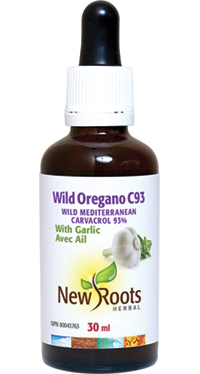 Our Wild Oregano C93 has been formulated with concentrated garlic extract to help relieve the symptoms associated with upper respiratory tract infections and catarrhal conditions. Adults: Take 8–20 drops daily or as recommended by your health-care practitioner. Other ingredient: Certified organic extra virgin olive oil.